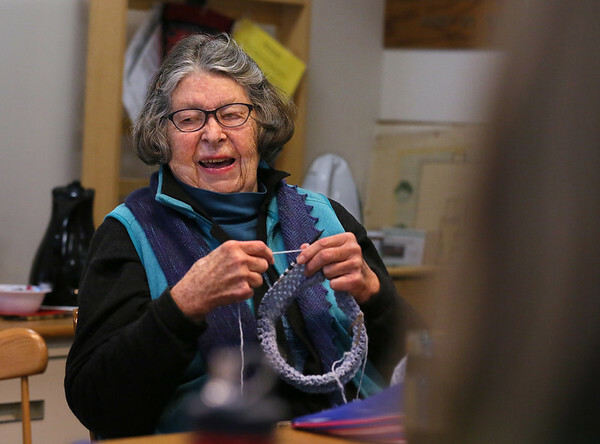 Patricia Weston enjoys the conversation while knitting a cowl during a "Which Craft?" needlework circle Monday at the Rockport Public Library. The circle, which meets every Monday from 11 a.m. to 1 p.m., is open to anyone interested in various forms of needlecraft, including knitting, crocheting, quilting and embroidering.